There is a tendency of people in Los Angeles to regard the San Gabriel mountains as being like sort of a painted backdrop to the city. I know that I tended to think of them that way when I first moved here in 1982. But one day, my friend Gordon mentioned going hiking in the mountains, and I realized that these mountains were a real place where we could go and actually get out in actual nature. 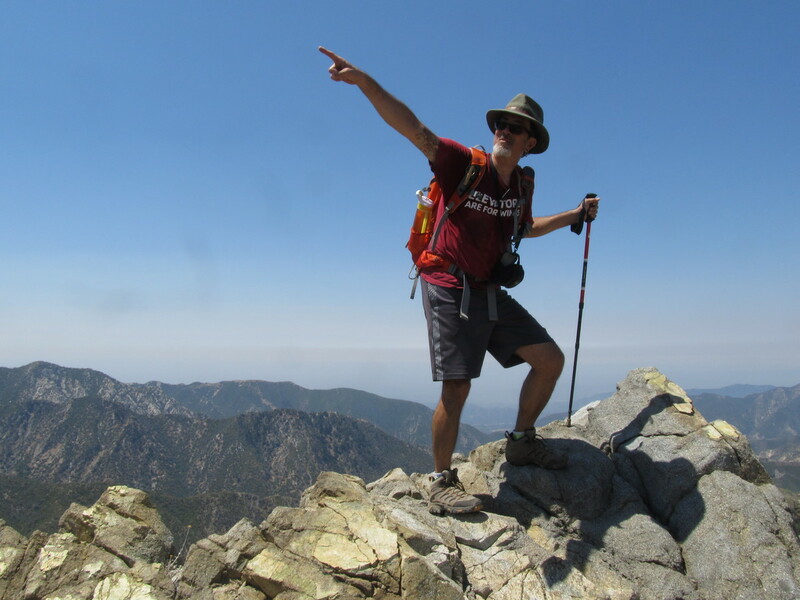 My first-ever hike in the San Gabriels was Strawberry Peak via the Colby Canyon trail, which I climbed with Gordon in January, 1983. I liked it a lot. The trail was interesting and entertaining, and the view from the top was pretty amazing. I went back there again by a different trail in the summer of ‘83. 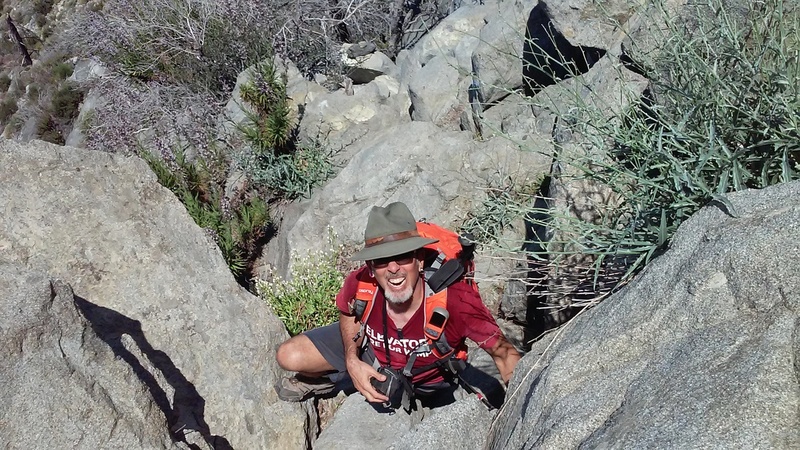 In the summer of 1986, I hiked up Colby Canyon to Strawberry Peak with my mother and my cousins Irene and David. And that was the last time I was at the top of the mountain. I made an attempt in the summer of 2007. And I made two attempts with my hiking partner Karina in January and April of 2015. None of those trips made it to the top. But today, I finally made it back up there again. 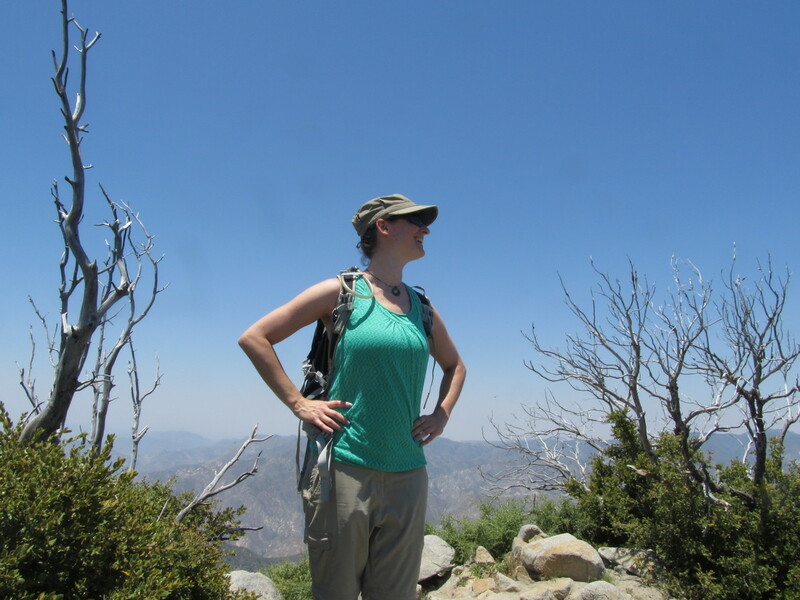 Today’s trip was with Jen, who is the new Staff Seismologist at Caltech. She came into that position after Kate Hutton retired. I told her about the trail, and she was game to try it. So we headed up into the mountains and hit the trail. 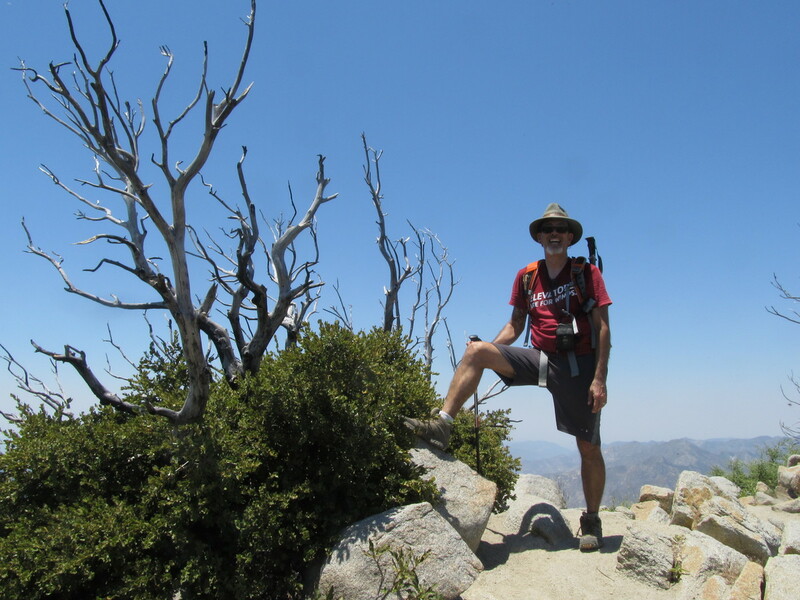 The first two miles were pretty easy, just walking up the trail to the saddle between Strawberry Peak and Josephine Peak. We stopped there to sit in the shade for a bit before striking out for the summit. 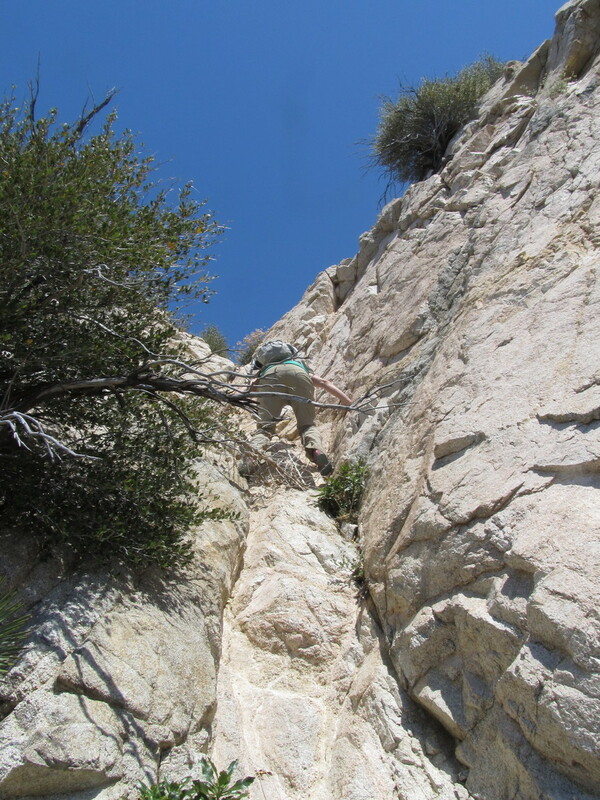 The trail went up the crest of the ridge, and it included two sections of steep rock climbing. We got to the first rock section and climbed up it. 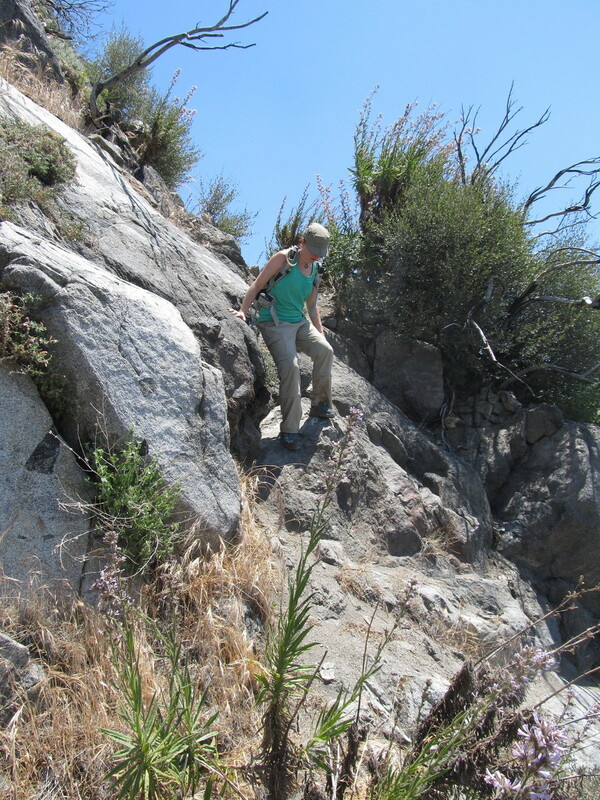 Then we followed the ridge for a while before reaching the second section of rock. The second was much longer and harder than the first. 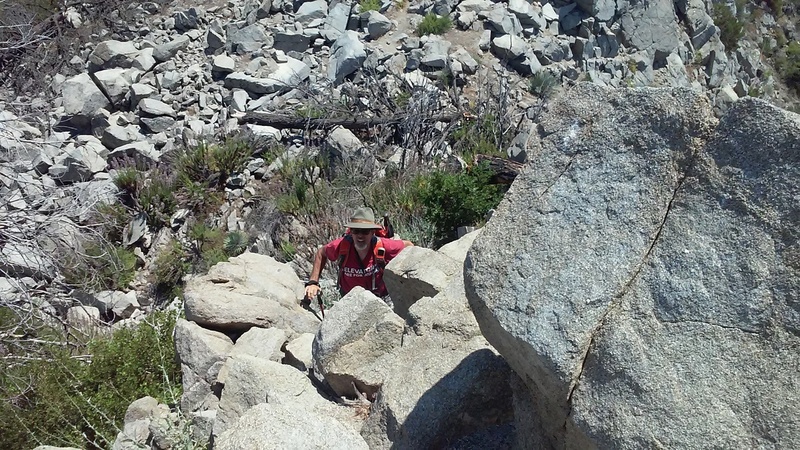 My memory of this trail was that it was interesting and entertaining, but this time, I was just marveling that the climb was about ten times harder than I remembered it being. I think that this is effect of 30 years passing since the last time I did it. We made it to the top, but I was the laggard here. Jen just scrambled up the rocks and left me behind. I was carefully picking my way, and moving very slowly. I think that was largely why in the end, the hike was a bit over six miles, but it took us seven hours. At the top, we sat down and had lunch while looking at the view. We were up there for about a half-hour before heading back down. 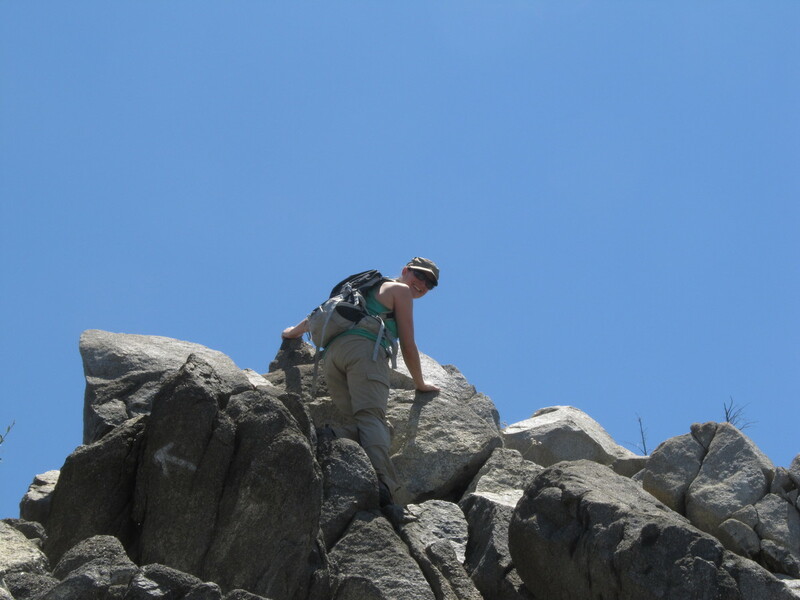 And the climb down the rocks was an exercise of carefully picking hand and foot holds. Again, I was the slow one, and I blame old age for my perhaps excessive caution. But we made it down the rocks all right, and made it back to the saddle and the water tank where we got to sit in the shade for a few minutes before heading back down the canyon trail. The last two miles down the canyon went pretty fast. I kept thinking about the bottle of ice water that was in the cooler in the trunk of the car. But when we finally got there, the formerly-iced water was warm. I guess it really was that hot today. Despite that, it was a fun time. And I finally made it up to the top of that damn mountain again, for the first time in 30 years.